Yesterday was a sad day. Tabitha, Tawny, Bramble and I were privileged to be present at the funeral of a dear friend. Bonni was a princess among dogs! She joined this yard before I did, nearly twelve years ago. She was born at the dog pound in Carmarthenshire and rehomed as a pup. Sadly, after three years, her adopter fell ill and she was discovered by an RSPCA Inspector in poor condition and after a short spell in care, she came to Cwmbern. Her carers gave all sorts of guarantees about her reliability. She didn’t chase cats or livestock – in fact, she was a paragon of virtue. And she didn’t shed hair. According to them. 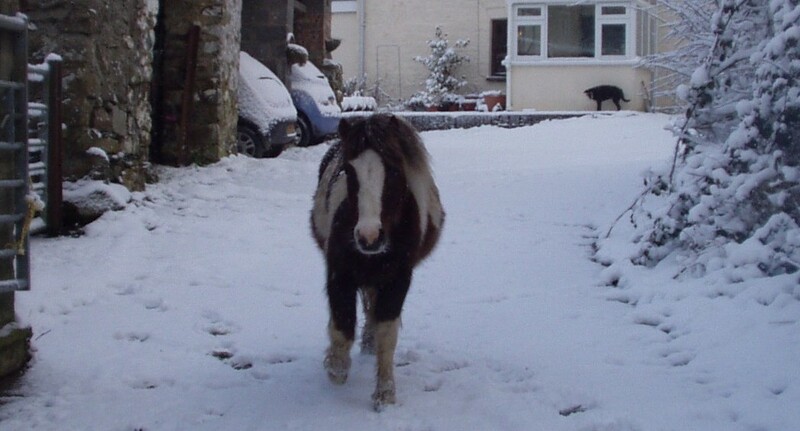 For a Llanelli girl like Bonni, coming to live on a farm was like moving to Disneyland. There were so many things you could chase! Her breeding was Whippet cross Patterdale, and these mini lurchers are hard wired to chase and kill. Thankfully, her early years had not taught her a lot about killing, but her brain told her to chase it (if it moved). Cats, horses, cows – well, they all got used to her quite quickly. She meant no harm and they seemed to sense that. She loved her new surroundings, but had an independent streak, which caused much angst in the early years. Unless she had her daily walk, she would go searching for her own. 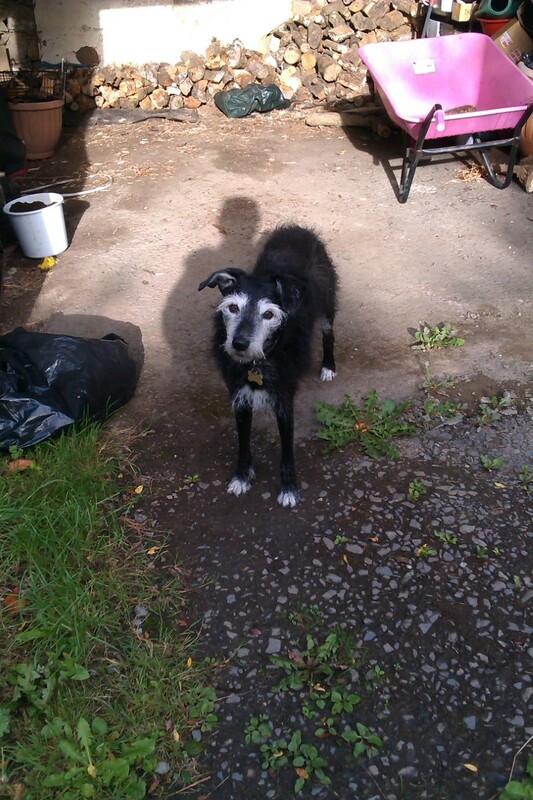 Many a day was spent searching the parish for Bonni, who would arrive home with a look which said ‘Sorry, I forgot’. Bonni had a knack of knowing what was needed. If someone was feeling blue, she would climb on their lap for a cuddle. When I first arrived, she was a frequent visitor to my stable. I was a poor thing and easily scared, so she didn’t chase me. She would wander into the stable, touch noses and have a sort through my straw bedding. She was just one of the many friends I made at Cwmbern. It wasn’t until I was fully recovered that we discovered a mutual love of a game of tag. Running was her favourite thing and there are fields and beaches here which suited her down to the ground. When her lead was picked up off the side, she would smile, dance and sing a little song, anticipating the excitement to come. 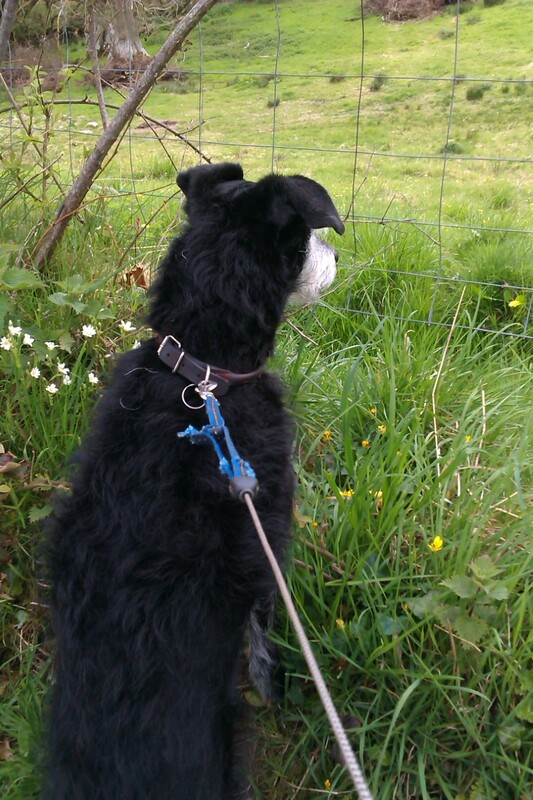 The more company she had on a walk the better, and she came to know the visitors who had ‘walk potential’. They tended to get a special greeting when they first arrived. It’s quiet on the yard today and we all keep looking around for that little black shadow. Although she was one of the smallest of our company , she surely had the biggest heart. This entry was posted in Life and Times, Penbryn and tagged Dogs; friends on January 8, 2017 by sallylearoyd.